Quest volunteer Florence did a little sleuthing and cleared up some misconceptions about best before dates. Read on! I always find it tricky to decipher the “best before” date on a pre-packaged food item. Does “MA” refer to March or May? Is it the year first or the day first? 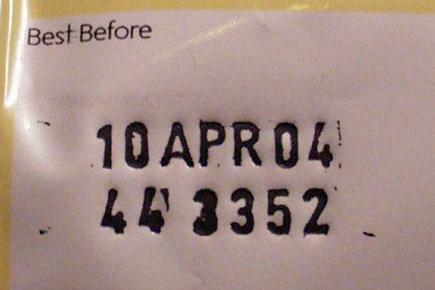 Is the food safe to eat after the “best before” date? As long as the food is kept in proper storage conditions, it should still be consumable and not thrown away. The “best before” date is an indicator of freshness, not food safety. Dry products, such as dry pasta and seasonings, are unlikely to support growth of bacteria and can be kept months (a full year, in fact!) after the “best before” date. Even the makers of Hellmann’s Mayonnaise say that their product can be consumed 4 weeks after the “best before” date, provided it has been stored properly. So don’t throw away food that is completely edible! Every year, 1.3 billion tons of food is wasted globally and some of that food is perfectly safe to eat, as long as it has been kept in proper storage conditions. By understanding food labels, we can all do our part to minimize food waste! ← General Operating Grants Received from Sook Ching Foundation and Marin Investments Ltd.